The origins of much mythology and legends started with the human desire to explain phenomena and actions that take place in the world. 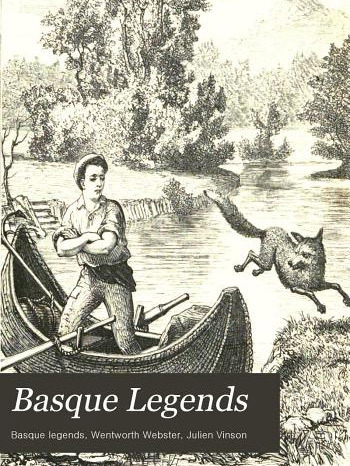 The Basque mind was rich with imagination when it came to creating different legends in response to the questions that came from observing nature and immediate surroundings. Wentworth Webster was an Anglican clergyman and scholar who lived in Donibane lohitzune, Lapurdi from 1869-1882. During this time he collected folk tales from the local people. With the help of Basque scholar Julien Vinson he published them in 1877. 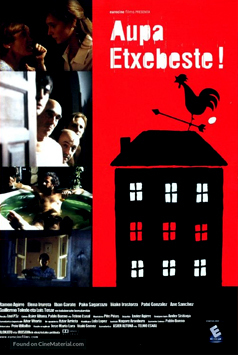 Aatxe: or Etsai is a cave-dwelling evil spirit who adopts the form of a young red bull, but being a shapeshifter, sometimes takes the shape of a man. Adur is not a character but the abstraction of luck, destiny or magic. It's said to be the power of soothsayers (aztiak). In common language it also means saliva. It's also the name of a river (vide Adour). Ama Lur: Mother Earth. It may be a modern creation or may be another name of Mari. Atxular and Mikelatz are said to be sons of Mari, among others. Basajaun: the wild man of the woods and his female version: basandere. Eguzki or Eki is the known name of the Sun, considered a daughter of Ama Lur. Galtzagorriak are a specific type of iratxoak (imps). Gaueko is an evil character of the night. Herensuge is the name of a dragon who plays an important role in a few legends. Erge is an evil spirit that takes men's lives. Ilargi or Ile are the known names of the Moon, also a daughter of Ama Lur. Jentilak (gentiles): giants, sometimes portrayed throwing rocks at churches. They are believed to be Pagan Basques themselves, seen from a partly Christianized viewpoint. A surviving jentil is Olentzero, the Basque equivalent of Santa Claus. Lamiak or laminak: a type of nymph with bird-feet that dwelt in rivers and springs. Mairuak or Intxisuak are the male equivalent of lamiak in the Pyrenean region, where they are said to have built up the cromlechs. Mari is considered the supreme goddess, and her consort Sugaar the supreme god. Mari is depicted in many different forms: sometimes as various women, as different red animals, as the black he-goat, etc. Sugaar, however, appears only as a man or a serpent/dragon. Mari is said to be served by the sorginak, semi-mythical creatures impossible to differentiate from actual witches or pagan priestesses. The cadre of witches near Zugarramurdi met at the Akelarre field and were the target of the Spanish Inquisition's largest witch hunt at Logroño. As a result, akelarre in Basque and aquelarre in Spanish are today still the local names of the sabbat. Odei is a personification of storm clouds. San Martin Txiki, a popular local Christian character, is a trickster. Sorginak are both mythological beings that travel with Mari and real witches. Tartalo: the Basque version of the Greco-Roman Cyclops. Important characters somewhere between gods and men are the lords of the wood, the "basajaunak", uncommonly strong shaggy beings, who worked the land before man. Man gained the right to cultivate the land when San Martin, having won a bet, seized the seeds from the lords of the wood. Beside brooks and on shores, the "lamiak", or "lamiñak" comb their long hair with golden combs. These seductive creatures resembling mermaids - or who have bird's legs - can tempt mortals to their downfall. 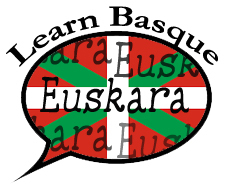 The house, "etxea" is the refuge and temple of the Basque people - the element which gives them their identity and their name, and which is preserved generation after generation. The home is protected against evil spirits by fire, laurel, ash leaves or dried thistle heads, "eguzki-lorea", literally, flower of the sun. The home, every home, was perpetuated - after the arrival of Christianity - in the church, where every family had its place reserved, the "yarleku", just as in a graveyard there is a family tomb. The arrival of Christianity diminished the public circulation fo these beliefs, but they continued to be shared in private. When Jesus Christ, "Kixmie" arrived, the super-natural beings to whom the Basques, before Christianisation, attributed almost miraculous abilities and deeds, disappeared. And the beliefs began to become myths and legends. In the mountains which surround Oiartzun there are some mysterious circles of stones set into the earth. These are the work of Intxitxu, the invisible spirit who builds cromlechs. In Ataun, if you go towards the openings of the grottos of Armontaitz and Malkorburu, you can see the strange prints of Irelu, the underground spirit who seizes anyone who bothers him. On the summit of Ubedi you can catch the strains of his song, mingled with the whistling wind. Between the Peñas de Orduña and the caves of Balzola (Dima) and Montecristo (Mondragon), lives a dreadful snake, Erensuge, who attracts human beings with his breath, only to devour them. Sometimes in Albistur and Zegama you may be surprised by a sudden jolt of the flock of sheep and at the same time the disturbing ehco of distant cries. This is how the Basajaun, the lords of the wood, announce their presence, thus warning the shepheres of the area that there is a storm on the way. Kortezubi. Round about the caves of Santimamiñe, Sagastigorri and Covairada, you might come across a completely red-haired bull, cow, or calf with a fierce expression in its eyes. This is Beigorri, guardian of the houses of Mari, the principal spirit or goddess of Basque mythology. The animal is depicted in the prehistoric paintings on the walls of the Santimami&nitildee caves.